Working as a private investigator or as a non-uniformed law enforcement agent often requires the use of detective equipment. The equipment type varies in type from a pen and paper (literally) to a concealed microphone (bug). Whether you are called a private detective or a professional investigator, you will need some basic detective equipment. Individuals can be employed by private clients, the government or law enforcement agencies. Regardless of the positions, the basic premise is the same. However, the equipment will vary somewhat. The government has their standard issue as do police departments. However, the private sector has the most flexibility, which is usually only restricted by finances. As a detective, you can be an insurance investigator, a professional recovery expert or specialize in finding people. Essentially, as a private investigator or detective you will perform various tasks for clients. Your job is to determine facts and find answers to questions. However, you will need technology’s help in solving most of the cases. The following list is by no means comprehensive. You can add to or take away from any list of detective equipment. Much of what you may need depends on the mission at hand. Some scenarios will be described using the basic and not so basic list of equipment. 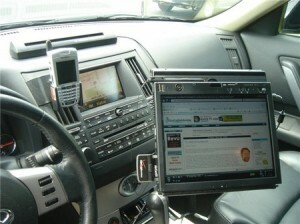 Your office will be your vehicle in many instances. Make sure you have the proper chargers for your equipment. Many newer vehicles have a USB connection to charge laptops and many cellular phones. Keep a converter box in the trunk that can act as a reserve. Use the proper safeguards on your computer to prevent hacking when using a public Wi-Fi. However, it is recommended you use a card provided by an Internet provider. Covert computer snooping should be done very carefully to avoid having anything traced back to you. This is where the burn phones come in handy, as well. Set up a John Doe alias for the cell phone activation, but provide a valid street address, like a local office building. Do not hang on to the phone once it has been used several times. Remove the subscriber identity module or SIM card if it has one. Destroy it beyond recovery, as well, as the phone. Many phones have Internet access so take advantage of that feature. Video evidence has an impact in court, and it is important to safeguard your evidence. Never record over any erased content when taping a subject. An analysis of the recording will show it had previously been used to record. The integrity of the video will be questioned. Always use a new memory card for every operation. No talking while taping because, it will end up on the audio portion. Verify your location by recording some prominent landmarks. It is important your target’s location can be verified by the images on the tape. Audio or video evidence captured by covert means may not be admissible, but it can verify known facts, which had been obtained by other means. Therefore, using covert detective equipment is necessary many times to help solidify theories, and to point you in the right direction. Many operations will be conducted at night. Having the ability to see is crucial. Never look directly at the target in the dark, always rely on your peripheral vision. Use the spotter scope because distances can be deceptive, the scope will determine the range for you. Once the distance is known use the night vision binoculars for picture taking. Knowing the distance can determine the height of a target by comparing the subject to known object sizes. In addition, it can reassure you that you are out of range of any weapons. You do not smoke so why cigarettes? The sight of an individual catching a smoke in a doorway is so common most people do not give them a second look. Cigarettes are props, so use them when conducting an investigation. Use urban camouflage to blend in, for example, a cellular phone to the ear with a newspaper and coffee. People will assume any object in your hand is a phone. Flax jackets can absorb blows from fists, blunt objects and it helps deflect Tasers and bullets. Many are not considered bulletproof vests, but they do offer protection. Wear one when the situation dictates, and cover it with a large shirt or coat. It can also be used to cover you if an explosion appears likely. Body armor is a necessary piece of detective equipment. Smoke makes the perfect concealment medium. It also creates confusion allowing you to escape or enter an area without being seen. Drop a smoke bomb and start yelling to get people moving and to instill panic. Chaos works in your favor. Place it so people cannot identify the source immediately. Always back up your information when using your computer. Email files to your own account or provide another means. Do not allow a stolen laptop to halt the operation. Surveillance is tedious and many inexperienced detectives become impatient. Contrary to what is depicted in the movies, you do not conduct a monitoring mission in front of the subject’s home. This is where technology comes into play. Your detective equipment will include covert surveillance cameras. Installing theses devices in key areas allows you to monitor your target well out of their sight. Be creative, cameras can be disguised as a birdhouses, lawn ornaments, and even attached to a mailbox. You can set up surveillance from a parking lot where your vehicle will not draw attention. The camera will transmit the images to your computer or phone. You can also attach a GPS tracking device to their vehicle. The ideal time to place a device is when the subject is parked in a store parking lot, but be mindful of any cameras located in the area. The GPS tracker has multiple purposes. You may find it necessary to enter a subject’s home. Track them on your phone while you are inside installing listening devices or gathering information. One word of caution, do not enter a target’s home until you have monitored the location for several days. Ensure no other agency or individual is conducting surveillance. It can become problematic, depending on who else may be watching them. Keep the scanner tuned to the local police department. Scanner frequencies can be obtained on the Internet or by scanning through the various bands. If you are using a rental car, memorize the license plate number. Often attentive citizens will report a suspicious vehicle parked somewhere. You can hear the call on the scanner. Obviously, you want to know this so you can find another spot. Park if possible to keep someone from coming up behind you. Use one of the covert cameras placed in the back of the vehicle to monitor what is behind you. Some vehicles have back up cameras, which engage when the vehicle is shifted to reverse. Be creative and consider your vehicle part of your detective equipment. With a little imagination, you will find various uses for the vehicle camera. Always check your own automobile if you have been out of it for more than a few minutes. Use the RF scanner to check for devices and look for cameras and GPS trackers. Whenever leaving your mobile office take any memory cards with you. Professionals will only take the memory cards or flash drives out of your vehicle because, they know laptops can be tracked. Furthermore, you as a trained operative should never insert a memory card or thumb drive into a computer that can be traced to you. Therefore, any evidence collected at the subject’s resident should be handled with caution. Viruses can be written and placed on almost any device, to include USB flash drives. There are several cardinal rules that must be adhered to when operating in the field. When leaving a motel room for any reason always assume you will never come back. This includes going for lunch or just down the hall for ice. In other words, whatever detective equipment is left in the room is a throw away and cannot be traced to you. Carry the essentials in a pack that is always with you. No one finds carrying a pack to be out of the ordinary anywhere in the world. Do not move into a motel room. One night for some quick relaxation is acceptable. Use gift cards or throw away money cards for payments. The throwaways are purchased at checkout in most stores and they are untraceable. Carry several with smaller amounts that can be left behind. Despite what you may see on television most professionals never carry phony identification unless they are affiliated with the government. Doing so raises questions and legal issues, and most are quickly spotted. Therefore, your history must be manipulated to account for why you are where you are. You may very well be a licensed investigator working for a private citizen, so you can be vague. However, avoid any situation other than interaction with law enforcement, where you have to present identification. The best operatives are the ones that blend in. They are never flashy, never brag about what they do and they practice avoidance. Choosing personal protection must be done carefully, and you must consider the legality of your choice of weapons. Handguns of course are a logical choice. Each state has their version of concealment. A weapon locked in the truck or glove compartment is useless, as is an unloaded one. Revolvers are reliable and they do not leave brass behind, but they require more action to pull the trigger. The reliable .45 is also an option as are most 9mm handguns. Know the laws in the various states. Stun guns are easily concealed and they are useful, as are stun batons. The telescoping batons are used to stop anyone from reaching in the window. Wipe the hard drive of all computers used. Use a quality program that over writes and replaces the files. Much of what was gathered may have to be saved, so ensure it remains on the recoding medium. Literally burn any throw away phones, and remove all equipment from the vehicle. Inspect and clean all of your detective equipment for the next mission.